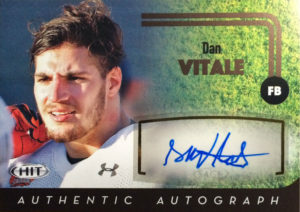 Danny Vitale played college football at Northwestern. There he played slotback and tight end. 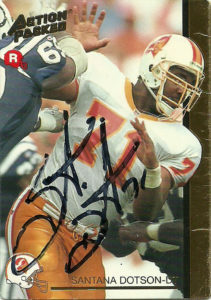 The hard nosed blocker had 135 receptions for 1427 yards and 11 touchdowns. At 6’2″, 235, Vitale would have had to seriously bulk up to play tight end, so he was classified as a fullback for the 2016 NFL draft. The Tampa Bay Buccaneers selected Dan with their 6th round pick. 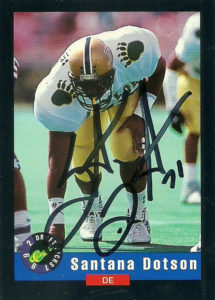 He did not make the squad, but was resigned soon thereafter to their practice squad. In October of that year the Browns signed Danny off of the Bucs practice squad. Pressed into duty he had 4 receptions for 27 yards in 9 games. He returned in 2017 to the Browns on their practice squad and recorded another 3 receptions for 19 yards. He’d be cut in 2018, and presently is on the practice squad of the Green Bay Packers.